Exiled former ZANU PF Politiburo members has confessed that his agenda of reforming ZANU PF from within backfired and the party was about to change him instead. 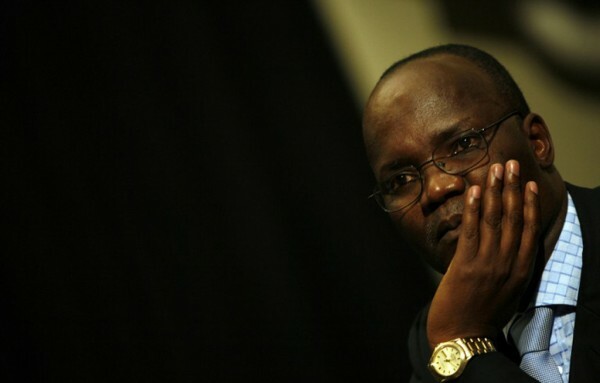 Professor Moyo is on the record saying, "the best way to reform Zanu-PF is from within." "I tell my father (in the book that he is writing) that I regret I understood better after the damage had been done that by joining ZanuPF to change it; I risked having ZanuPF changing me." Moyo says. "I assure him I'm done with ZanuPF and that my family will disown me if I ever again rejoin it in any disguise, shape or form." Social media users pressed Prof. Moyo to reveal any sign that during his days in ZANU PF he tried to reform it. "Oh! Is that why Pres Mugabe labeled me the devil incarnate and accused me of smuggling MDC editors into the state media?" Responded Moyo. "And when Mnangagwa, Chiwenga and Warvets repeatedly accused me of being a CIA and destroying ZANU PF from within, they were lauding me for improving their dictatorship?" In 2016 the then Commander of Zimbabwe Defense Forces General Constantino Dominic Nyikadzino Guvheya Chiwenga warned Jonathan Moyo that they are watching him as he tries to destroy ZANU PF from within. "We were reading mapepa paakatanga kuti ‘when you want to destroy Zanu-PF you need to do it from within." Chiwenga said. "Vaitiudza kuti kuchazoita vamwe vechidiki vanofanirwa kutonga. Hazvina kunyorwa here? Munoti tanga tisingazvioni? Hazvisizvo here zvirikuitika? Ngatidye sadza zvakanaka." Jonathan Moyo is a victim of a victim of a 2017 bloody coup that ended 37 years of Robert Mugabe's rule.